This website launch of the redesigned site was a long time coming. I created the original (and first) Napa High Hall of Fame website back in 2005, I think? So you can see how overdue it was. We needed a better way to search members, find info about the scholarship program, and just plain update the look and feel. 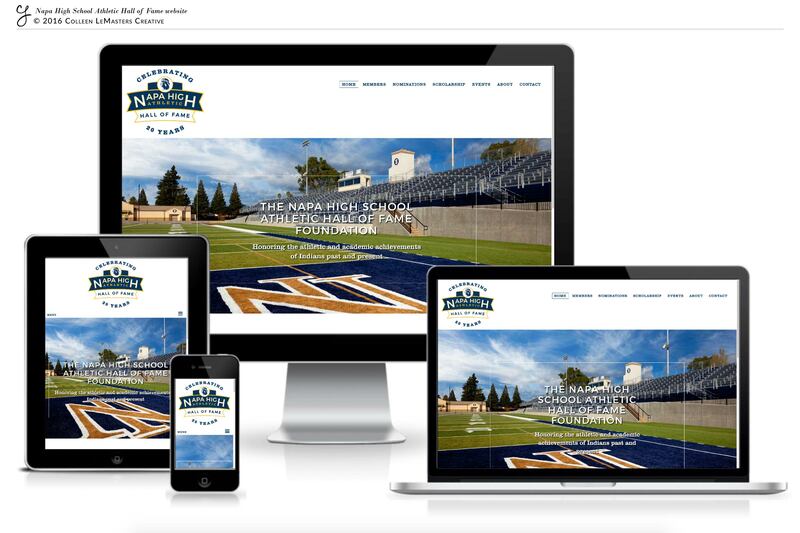 2016 marks the 20th year of the Foundation’s efforts to recognize the achievements of Napa High athletes (which was the motivation for the new logo we created) and a perfect time to update the website. The old site, while it served our purpose, just didn’t do the Foundation justice, but the new site is like a breath of fresh air in comparison. And not for nothing, but the code geek in me had a field day with this one. I set up a special back end on the website for inputting new members, their bios, head shots, sports in which they participated…all the “meat and potatoes” of what got them into the HOF, so it was a fun coding project for me, as well. So happy with the results!